without you we would be nothing. Recently your firm completed the installation of ROI Print Manager for Judson ISD. The installation involved over 22,500 users, 123 multifunction devices and thousands of desktop printers. The overall project was of a fairly large scope and involved a very keen attention to detail. The installation of the hardware and software was completed exactly as scheduled with multiple brands and models of equipment involved. In addition, the need was identified for the customization of reports specific to our organization. The custom programming for these reports are easy to run and will provide great utility for administrators within the District. The information provided will assist us in attaining our goals of monitoring and reducing copier and printer output. This is especially important for the financial climate that education faces today. 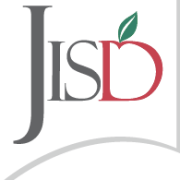 On behalf of the Judson Independent School District, I would like to express my appreciation for your support as we’ve worked together to launch this solution. Recently, LifeLock, Inc. selected Print Control Software’s ROI Print Manager as the solution to manage our printing and the associated costs. In the past, we relied on cumbersome manual processes and a print tracking tool that proved to be ineffective. Our search for a true print management solution was an extensive one. We did a great deal of due diligence and a detailed review of the solutions currently available in the market. At the end of the day, nothing compared to ROI Print Manager. ROI Print Manager was selected by LifeLock, Inc. because of its detailed end user tracking, comprehensive reporting capabilities and true user-management functionality. LifeLock is currently only in the initial implementation phase, but we can already see the benefits of the software solution and look forward to the productivity enhancements, cost savings and workflow efficiencies to come. We have had ROI Print Manager installed about a year now and are quite pleased with the software and the training we received to effectively use the software. We have focused this past year on installing our printing control hardware and software on our centralized MFP machines and will soon begin the process of further managing all of the other printers on our main campus. We have just scratched the surface on using the capabilities of your software and we anticipate we will be able to significantly reduce our “hidden” costs of standalone printers over the next year. We have also been very pleased with the support your company has given us during our implementation phase – you are always quick to respond with solutions for us. We look forward to this ongoing great customer service as we fully deploy the software with all its capabilities this next year. We have had ROI Print Manager for approximately a year. Recently I needed to utilize their support team to run analysis reports. The support technicians are extremely patient, pleasant and knowledgeable about their product. I needed the information rather quick and they both helped me immediately. The process of using a web meeting was simple and quick. The reports that we’ve run have been very helpful for our company to analyze and for us to take the necessary action for better control of our printing and copy costs. I would recommend ROI Print Manager for any company. New Hope Services installed the ROI agent on all of our computers and the process is as simple as point and double click. When setting up the server side, an ROI technician remoted in and helped configure the software so that it is running optimally and did so in a friendly and time-efficient manner. The technicians are more than willing to help with any issues. We have already realized savings and have not begun to tap all that is included in the data that is collected. We appreciate the product and service you have provided. The Print Control Software has been an absolute pleasure to work with. Their support staff are extremely responsive and always on top of our needs here at the Girl Scouts. Due to some confusion that had transpired within our organization, their support team ended up having to help us establish our ROI solution twice and he did so with out-standing results. I would highly recommend PCS to anyone looking to implement a printing solution. The product, and more specifically, the support team are dedicated, knowledge, and very friendly. At Clackamas Fire District #1, we have installed the ROI Agent on many of our computers and the process is smooth and simple. When setting up the server side, an ROI technician remoted in and helped configure the software so that it is running optimally and did so in a friendly and time-efficient manner. Support is easily a call or email away as ROI is always happy to help. – Where are the cost savings? Without ROI Analytics, questions like these were vague and frequently unanswered. ROI Print Manager has enabled CFD to have ongoing quarterly reporting as well as influence / educate end users on more efficient printing processes. ROI Print Manager has been an extremely helpful tool for our organization to understand and control the costs associated with printing. The reporting capabilities arm us with a wealth of information that help us make smart decisions about printer deployment, utilization and their associated costs. Being able to easily identify over-utilized and under-utilized devices, as well as large print jobs and their users, helps us identify scenarios requiring intervention. Overall, we are extremely satisfied with the product and the ROI team have been very engaged when we have required assistance from them. ROI Print Manager has been an invaluable tool for our organization. We’ve been able to monitor printer usage, identify print trends within the business as well as capitalize on identifying underutilized printers. The cost models have been effective in removal of printers and replacing them with more cost-effective multifunctional devices. Prior to having ROI Print Manager we had to rely on data gathered by third-party vendors, which was a snapshot in time and cost. ROI Print Manager provides us with real-time data that is useful in an everchanging climate such as ours. Coupling ROI Print Manager with ROI Analytics has provided us with the metrics and reporting that has helped IT Services remain focused on our strategic initiatives. The roll out of the agent is by far the easiest installation I’ve dealt with. With the MSI being built right from the server it is very easily deployed across a large area of PCs. ROI Print Manager was introduced to Medicis last year when we were starting a green campaign as a means of improving printing efficiency. The software has proven to provide great benefit helping our company in becoming more environmentally friendly as well as many other capacities. The setup and installation of the software was quick and easily performed in less than a day. ROI Print Manager not only immediately raised awareness to wasteful printing for both the customer and the company, but also helped by quickly and easily pinpointing printing behaviors that end up increasing costs and depleting resources such as toner and paper. I would highly recommend ROI Print Manager to any company looking to be more strategic in managing print services. Cole Capital is a real estate investment firm that has introduced over 100 investment programs and manages a portfolio of properties, valued at approximately $4.0 billion, across 45 states and the U.S. Virgin Islands. Cole has implemented ROI Print Manager within their corporate offices in Phoenix, Arizona in order to determine, report and reduce network print costs. ROI Print Manager was rolled out to the corporate office and a 30-day assessment of the environment was created. Cole Capital’s actual printing expenditures were discovered with detailed cost per copy models for every print device in the network using the ROI Analytics tool. A report was generated to demonstrate 1 months worth of typical, uncontrolled network printing. The Print Assessment report empowered Cole Capital to determine that they needed to implement rules to control network and local print traffic. The goal was to drive volume to more cost effective printers thereby reducing costs and to educate users on more cost effective and environmentally sound printing habits. This was achieved quickly with ROI! After implementation of the ROI print rules, costs were compared from one month to the next and Cole Capital recognized a substantial cost savings of 31% for one year! They are continuing to run ROI Print Manager to capitalize on ROI Print Manager’s effectiveness in reducing spending and promoting more efficient workflows. The City of Las Vegas recently had the opportunity to deploy and implement ROI Print Manager software within our network on a trial basis. The main object was to evaluate the software and review our current printing environment and then make plans to streamline and control the environment. The software was downloaded from the ROI Website and we installed the administrative console on a designated machine within our network. We then used ROI’s push technology to deploy client agents to 142 workstations within our environment. After some initial security configuration issues, the software deployed quite easily without any interruption to the network or required no interaction at the workstation or from users. The support staff at ROI’s Call Support Center was very helpful in explaining and assisting with the installation. After a collection period of one month, the data was extracted and an ROI Print Assessment report was generated. The report was very detailed and showed information such as: all local and network printers, number of print jobs, number of printed pages, breakdown of color & black, number of print devices, number of pages per print device and number of pages per user with associated costs. From the data generated, we have determined that we could save a good deal of money by redirecting some of our print volume to more cost effective printers. We are now evaluating an implementation of ROI Print Manager software throughout the entire network. This tool could be used to actively prompt the end users to follow a new document strategy and ensure that there is compliance with it. The City of Las Vegas has been looking for a product to take control of printing costs with minimum impact to our network and users. Also, that is easy to use with on-going reporting. We believe that ROI Print Manager can help reduce the City of Las Vegas’s print costs while moving print volume to more cost effective devices. © 2016 Print Control Software, Inc.